It seems like every year a photo of two or even three giant bucks locked together and found dead is circulated across the internet. Whitetails battle for dominance every fall. The prize is first choice among does in estrus. Turkeys do the same thing but the fight doesn’t end in death. Turkeys obviously don’t have antlers that can get locked together. Gobblers will beat each other with their wings and hook each other with their spurs. They’re also often spotted locking their necks together. These sparring matches are just like the whitetail’s. They are meant to assert dominance within the herd or in a turkey’s case, the flock. There are some key differences besides the potential lethality. Gobblers don’t have established territories. The loser in these matches isn’t exiled to a far away woods. The subordinate gobbler stays within the flock. Contrary to what many believe, the subordinate(s) will also get a chance to breed. He just has to do it when the boss gobbler isn’t watching. Most of this fighting occurs in late winter and early spring when birds are still in their winter feeding groups. With more birds making up the flock, hierarchy is more important. As breeding season approaches, big flocks break up into smaller sub-flocks. These birds may still roost in the same area, but often spend the day in smaller groups of six to ten birds. This is what allows many subordinate gobblers to mate. It’s also what causes gobblers to travel hundreds of yards to come check out your calling. A mature tom has a hard time passing up an opportunity to mate. 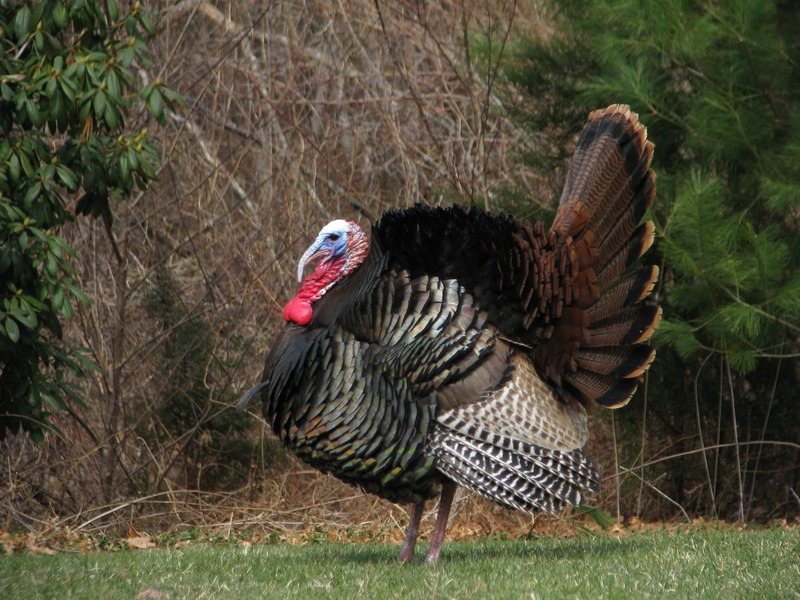 Also unlike the whitetail, the gobbler does not choose a hen for mating. The hen chooses the gobbler. The dominant gobbler has won the right to strut in open areas for willing hens. Veteran turkey hunters tell legendary stories of the first few days after a boss gobbler has fallen to the shotgun. Subordinate toms fight for the top spot and become very receptive to calling. Hunting can become intense as the flock structure is reorganized. Hens will mate several times while laying their clutch of eggs. However, they don’t need to. Hens are able to store sperm for long periods of time. Most nests contain 10 to 12 eggs fertilized over a two week mating period by a handful of gobblers. So just like in the human world, all of this fighting over women is quite pointless in the big picture!